The RBI issued 200 rupees note last week. But it can take two to three months to reach people as 2.25 lakh ATM machines across India to recalibrate before the supply of Rs 200 Notes. Some banks have told ATM companies to start testing new notes to make machines suitable for them. Although new 200 rupees note have not been supplied to the banks. After the ban on old currency notes was made in November last year, banks had made ATM machines suitable for new notes of Rs 500 and Rs 1000. The Reserve Bank of India issued a statement saying that supply of 200 rupees note will be started soon. But the RBI has not said that when these notes will be available in adequate quantities? Companies making ATM machines have said that they have not received any guidelines regarding changing the ATM according to the new notes of Rs 200 from the RBI. He said that some banks have unofficially told them that they should start testing new notes because its size is different. There are a total of 2.25 lakh ATM machines in the country, and they are yet to be made in line with the new notes. Mr. Ravi B Goyal, Chairman and Managing Director, AGS Transact Technologies Ltd. told, “But the ATM favoring process will start only after getting the instructions from the RBI, the size of the new notes is different from the ongoing notes in circulation, as soon as we get new notes, we will understand its size and recalibrate the machines accordingly. We will have to see whether the supply of the notes is enough to run the ATM at full capacity. ” This company has set up 60 thousand ATM machines. Among other companies making ATM, there is NCR Corporation, which has 1,08,000 ATM machines. Apart from this, BTI Payments has 4,500 installed machines. K. Srinivas, Managing Director and Chief Executive Officer of BTI Payments said, “When we get enough amount of 200 rupees, we will start the to recalibrate ATM machines. We are keen to start this work as soon as possible.” This company is authorized by the RBI, which operates ATM machines, which do not own the banks, and the banks do not even manage them. At present, 200 rupees note is available in selected RBI offices and some banks. 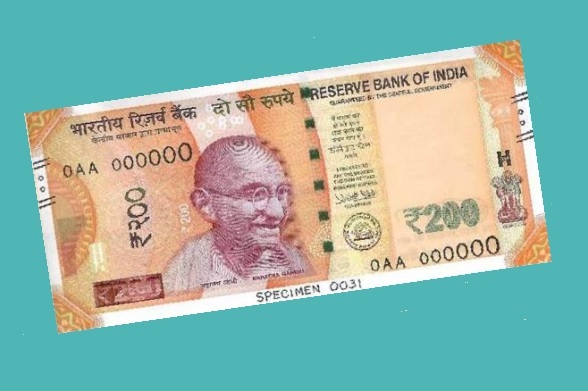 Although State Bank of India and Punjab National Bank have said that they have received new 200 rupees note, whereas Eknath Baliga, manager of KYC-Antimony Laundering Cell of Corporation Bank in Mangalore, told that not a single branch has not received 200 rupees note. The 200 rupees note is currently being printed in RBI printing presses. Sources of Security Printing and Minting Corporation of India (SPMCL) told that the company has not received any instructions for printing of Rs 200 notes so far. In the country, the two companies authorized for printing notes are owned by the RBI, while the two with SPMCL, which is a government-owned company.